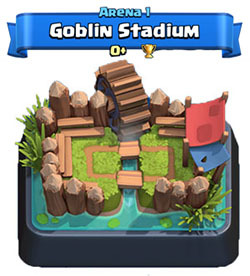 Best deck for Arena 1 Goblin Stadium | Clash Royale fan-site! 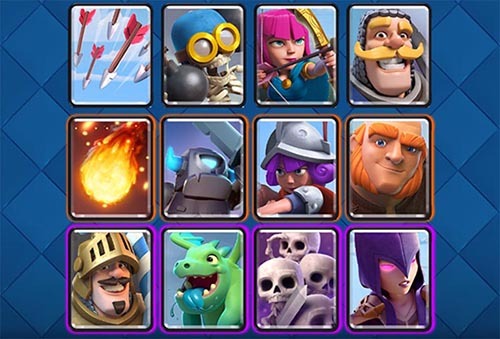 – 4 epic (Prince, Baby Dragon, Skeleton Army, Witch). 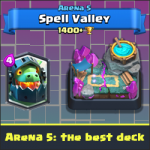 As you can see, at the best hands, the total number of different cards before the first battle on the first arena cannot be more than 12 (unless you immediately buy yourself a chest with cards in the game shop). 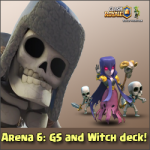 As a rule, upon reaching the Arena 1 every player have one or maximum two epic cards in his disposal. 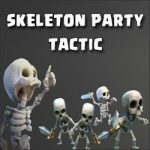 In my case this was Skeleton Army. From the other cards I got 3 rare cards (Fireball, Giant and Musketeer) and bunch of commons… After I opened a few chests I received Goblins, Spear Goblins and Valkyrie. The first two I didn’t use but the Valkyrie was very handy and I used it. Note: I want to make a short note. 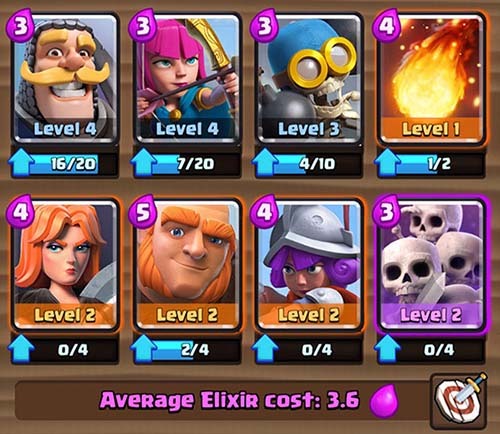 I strongly advise to every newbie player among the spell cards to choose a Fireball instead of Arrows. The main reason is bigger damage power of Fireball. Sometimes it helps on the last seconds of battle to get a victory. With the help of this deck and correctly chosen tactic (about the tactic on the first arenas in Clash Royale you can read here) I managed to reach the second Arena “Bone Pit” in just 17 battles, of which I won 15! Not bad, isn’t it? Video confirmation of my words (log of fights), as well as the last two attacks after which the number of my trophies exceeded 400! 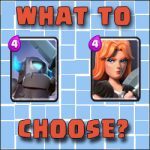 I hope this material will be useful for you and will help you to form your own unbeatable battle deck for the first Arena in Clash Royale.